Apple began today’s Special Event with the Apple News+ announcement, which was rumored last year. 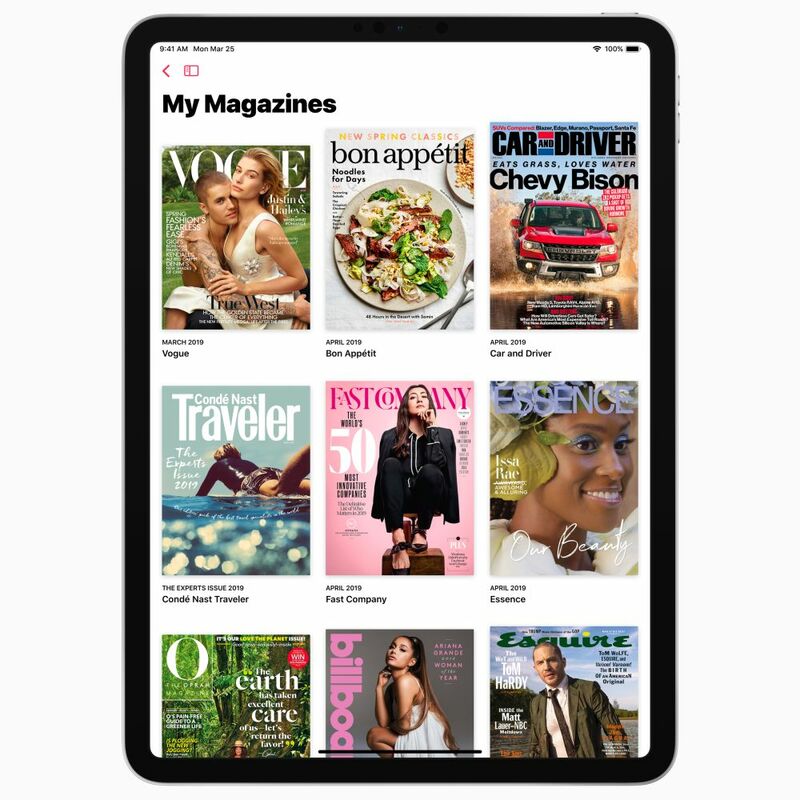 The new subscription service brings over 300 popular magazines, leading newspapers and digital publishers to the Apple News app for $9.99 a month. News+ is available in the US and Canada right now, and includes titles such as Vogue, National Geographic Magazine, People, ELLE, The Wall Street Journal and Los Angeles Times. 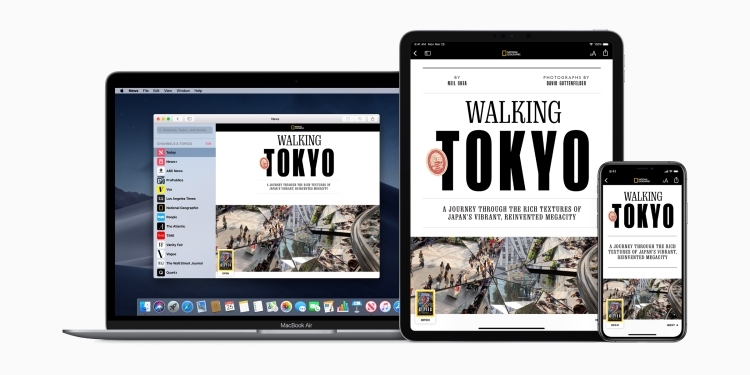 Apple News+ adds an even more expansive collection of high-quality stories designed specifically for iPhones, iPads and Macs. 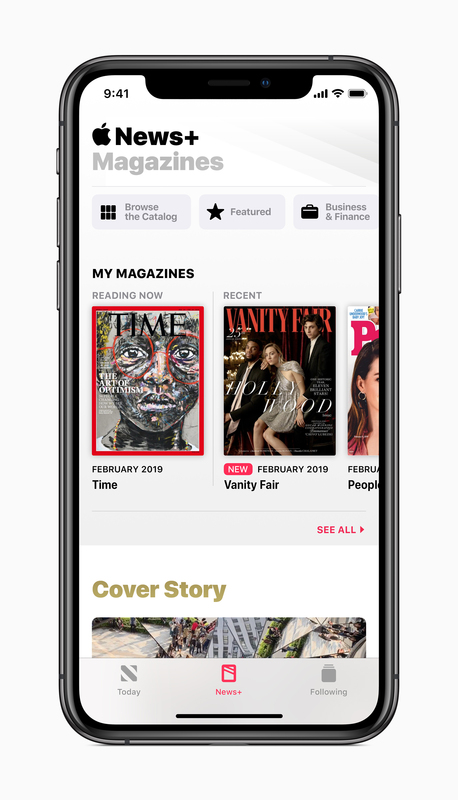 Apple News+ brings current and past issues and articles from The Atlantic, Better Homes & Gardens, Bon Appétit, Condé Nast Traveler, ELLE, Entertainment Weekly, ESPN The Magazine, Esquire, Food & Wine, Good Housekeeping, GQ, Health, InStyle, Martha Stewart Living, National Geographic, New York Magazine, The New Yorker, O, The Oprah Magazine, Parents, People, Real Simple, Rolling Stone, Runner’s World, Sports Illustrated, TIME, Travel + Leisure, Vanity Fair, Vogue, WIRED and Woman’s Day. In terms of newspapers, it includes The Wall Street Journal, Los Angeles Times and Toronto Star, Canada’s largest daily newspaper. 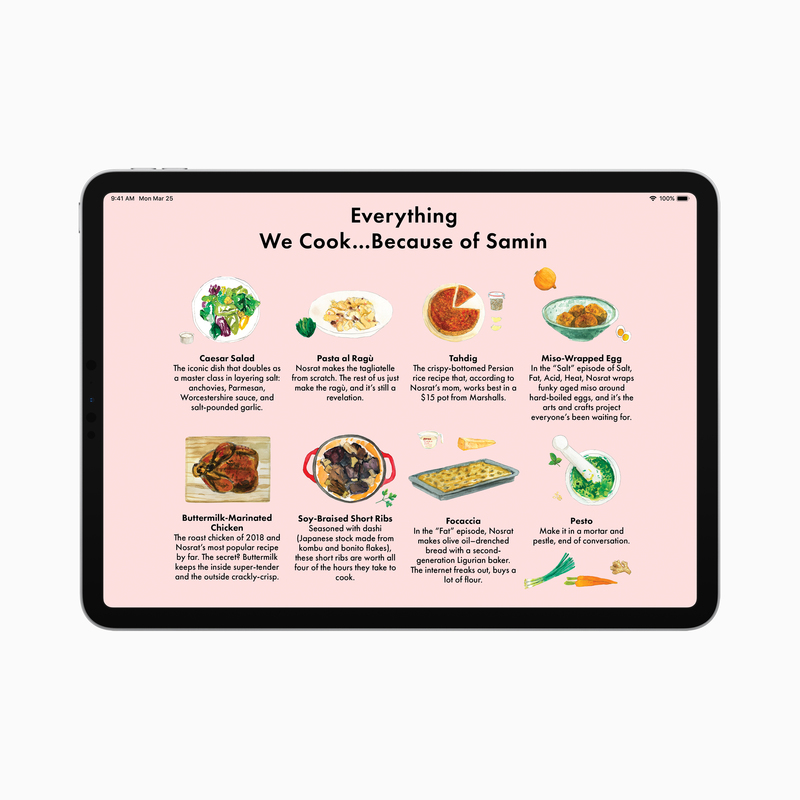 Apple News+ also brings digital subscriptions to theSkimm, The Highlight by Vox, Vulture, The Cut, Grub Street, and Extra Crunch. 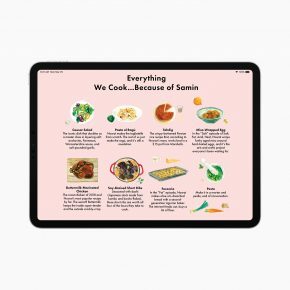 Apple News+ showcases magazines in uniquely designed rich-media layouts, featuring animated covers and headlines, and vivid photography. It also brings personalized individual article and issue suggestions. 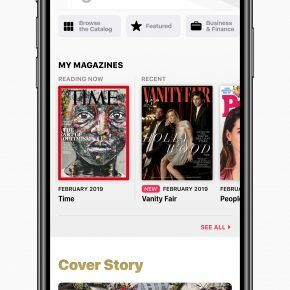 Apple News+ will be available in the UK and Australia later this year. It costs $9.99 a month in the US, and $12.99 a month in Canada. You can sign up for a free one-month trial, and the plan automatically renews after the trial ends. 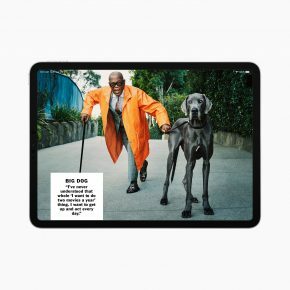 To sign up for Apple News+, you must have a device running iOS 12.2 or macOS 10.14.4.